I love festive and colorful wrapping paper. The Christmas wrapping paper I buy the kids usually features fun characters. 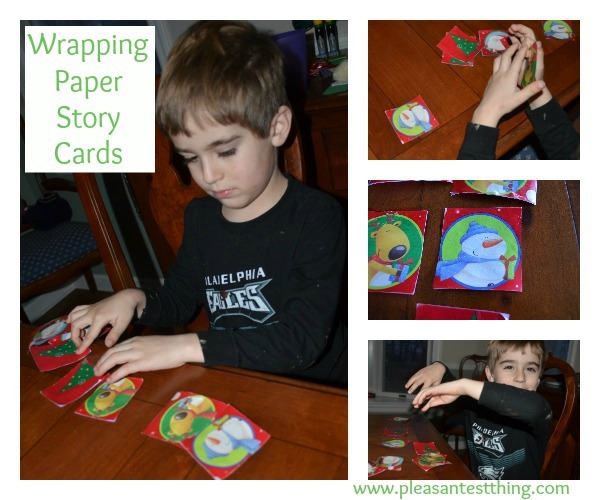 As I was wrapping, it struck me that I could create story cards with the characters. I cut images of single characters or scenes out of the wrapping paper, and glued them onto pieces of index cards. We took turns closing our eyes and drawing cards, making up stories based on what we drew. He lined up the cards randomly and told a story from those cards. He selected cards and created a story from those cards. Toddlers can also just match up the cards. 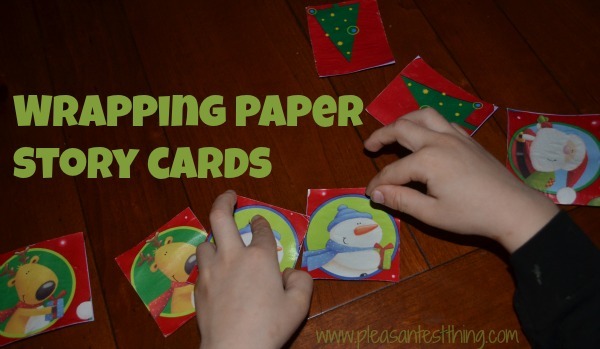 It’s also a great way to use up some of the wrapping paper scraps on Christmas morning!